If you want a pro-quality paint job, you should work like the pros do. And professional painters know the importance of preparing a jobsite to avoid messes. 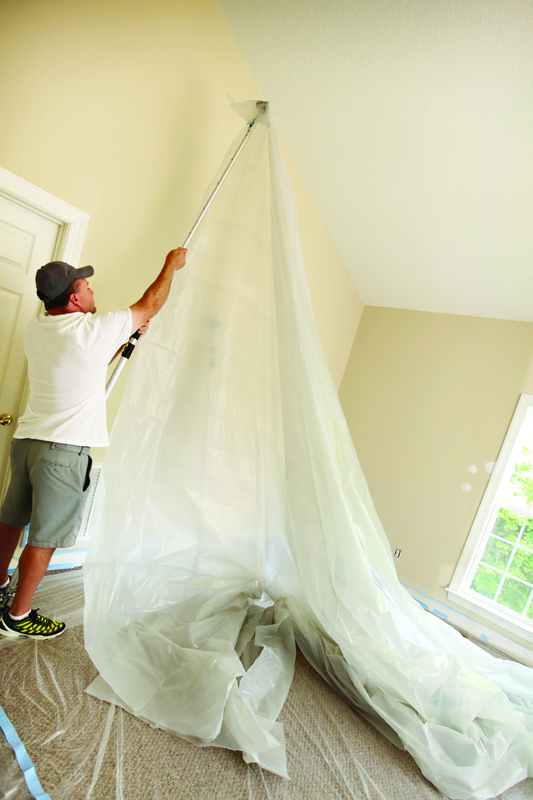 Whereas a DIY’er might throw down a flimsy plastic sheet to protect the floor, a professional paint crew will make use of wall-to-wall floor coverings and masking products that take job protection to the next level. 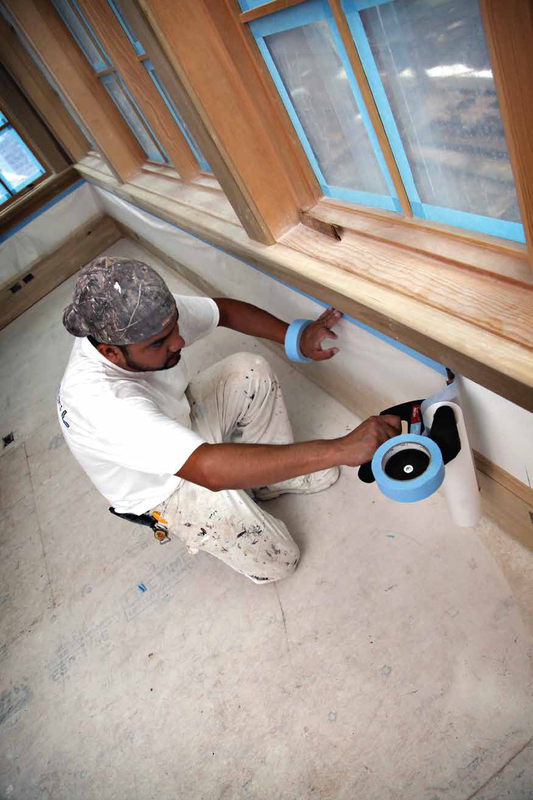 The paint supply company Trimaco offers a full line of products for comprehensive protection of your next remodeling project. 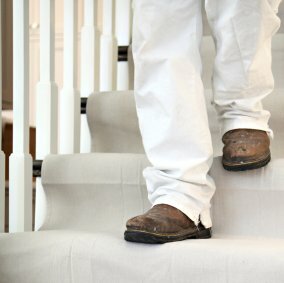 Rather than simply draping a sheet over something to protect it, you should seal the edges to prevent dust, debris or paint from getting where you don’t want it. 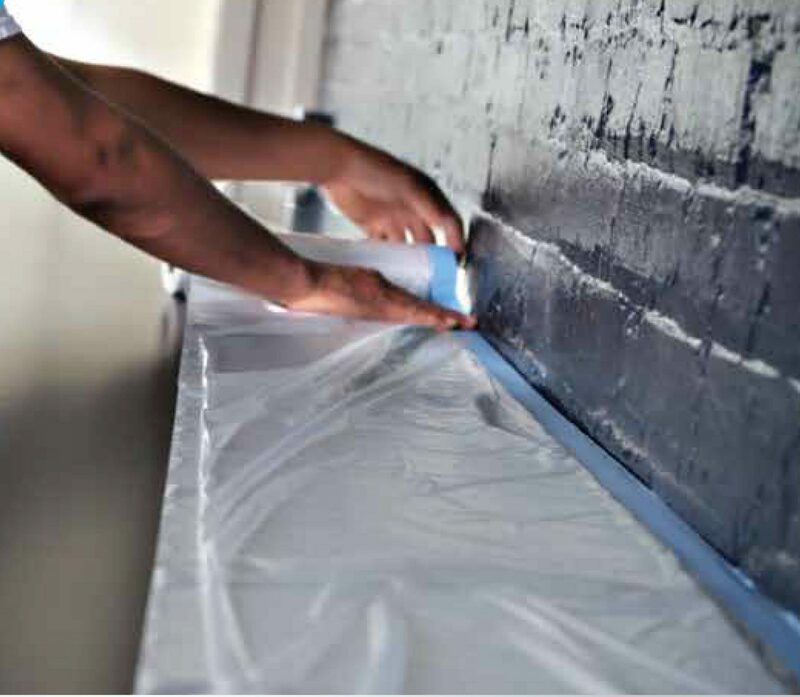 Trimaco’s Easy Mask® Tape & Drape Pre-taped Masking Film can protect areas where you want to catch drips and overspray. Tape is pre-applied along one edge of a high-density masking film, and a special coating helps it cling to the protected surface– even in windy conditions or with spray applicators. For large jobs, you can apply the Tape & Drape with the Easy Mask QM5000 PRO, a handheld masking tool that makes it fast and easy to apply rolls of the film. Trimaco also offers self-adhering masking film, as well as self-adhering plastic sheeting. Trimaco offers traditional canvas drop cloths in multiple ounce weights and sizes, from lightweight 6oz. drops to heavy-duty 12oz. drops. All drop cloths are full piece, with no remnants or scraps, to protect surfaces during painting, staining, wallpapering and more. They’re washable and reusable. The company also has the Stay Put Canvas drop cloth, which is 300-percent more slip resistant than 8oz. canvas, so it stays where you place it. The drop consists of two layers—absorbent canvas and a durable non-slip backing. Use the canvas side up to keep tracking to a minimum. Looking for a leak-resistant version? The Stay Put Canvas Plus will do just that. Trimaco also sells vinyl, butyl, polypropylene and plastic drop cloths for a variety of jobs. 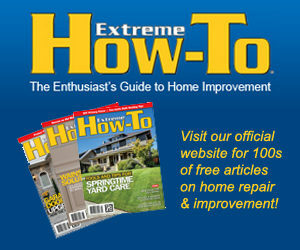 Home remodeling generates a lot of dust, and you want to keep it as contained as possible. Trimaco’s collection of dust-containment products will protect against all kinds of dust, including airborne dust, combustible dust, silica dust and more. 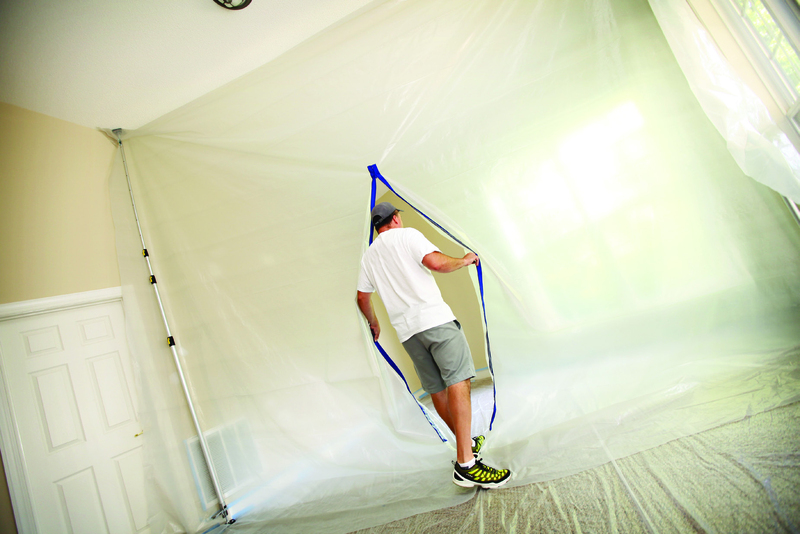 The E-Z Up® Dust Containment Pole works with plastic sheeting to create a floor-to-ceiling dust barrier on the jobsite. The durable steel construction adjusts to a maximum height of 12 feet. Simply clip the sheet onto the quick clip and adjust the pole to ceiling height with the twist-lock technology. The unique bottom spring ensures a snug fit. You can even use the E-Z Up Zipper to create an instant doorway in and out of the work space. The Trimaco EZ Up Peel + Stick Zipper creates an instant door on tarps, plastic coverings and shrink wraps. 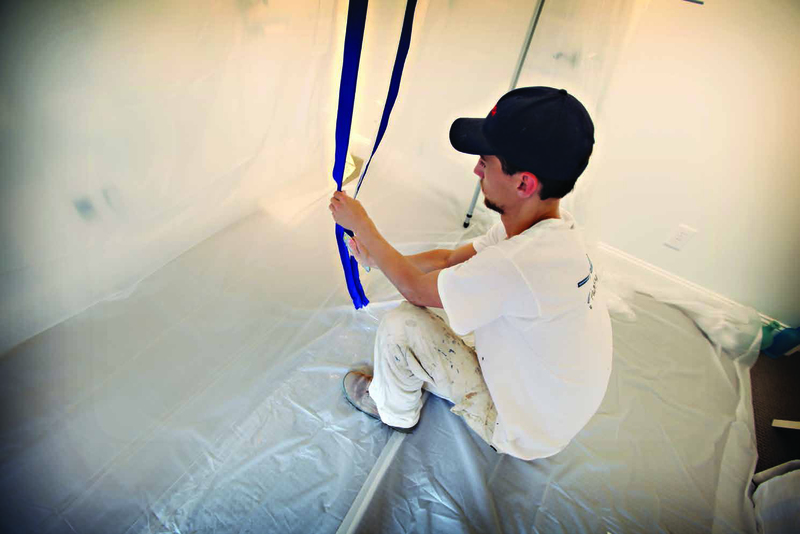 It provides instant resealable access within plastic sheeting, tarps and poly or vinyl fabrics. Plus, the zipper is double sided for easy operation from either side.